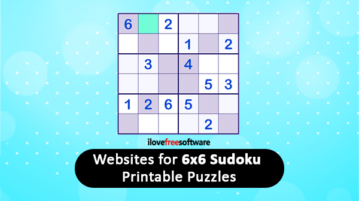 In this post we will see 8 free websites for 6×6 Sudoku printable puzzles. 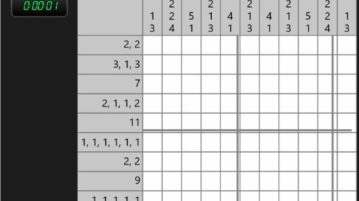 You can easily download and print multiple Sudoku puzzles from these websites. 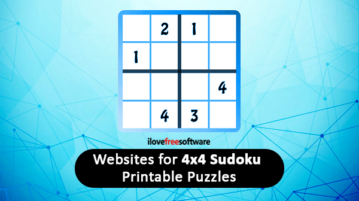 In this article we are covering 11 free websites for 4×4 Sudoku printable puzzles. These websites let you download and print Sudoku 4×4 puzzles. 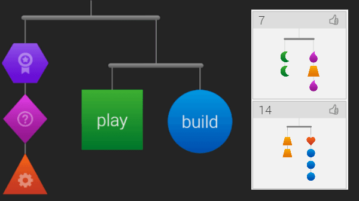 This article covers 4 free Windows 10 Nonogram logic puzzle game apps which are similar to Sudoku. 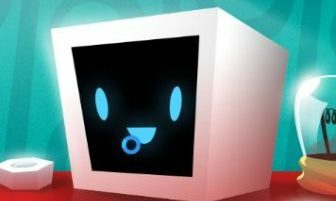 These apps can be downloaded for free. Check these game apps out which are surely a lot of fun to play. 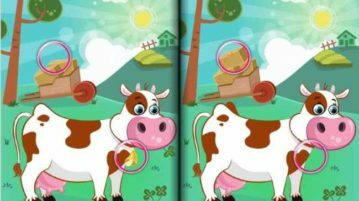 This article covers a list of 4 apps for Windows 10 which let you play spot the difference photo puzzle games. These games are fun and improve your observation skills. Try them out. 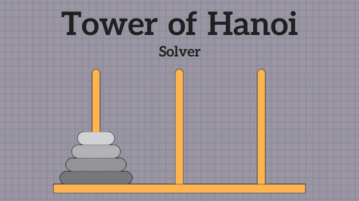 This article covers best free Tower of Hanoi Solver Websites. These websites help you solve Tower of Hanoi puzzle with various disks number configurations. 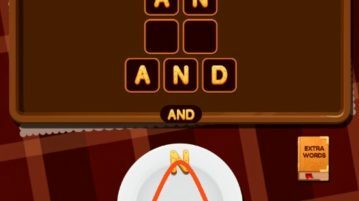 Word Cookies: Word Search is a free Windows 10 word chef puzzle game where you have to search words from letters to make great dishes. 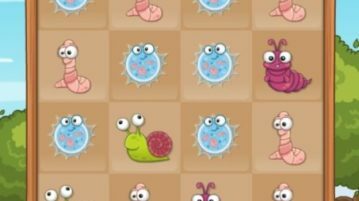 Bug Match – Worms Evolution is a Windows 10 matching game app where you match 3 or more bugs of the same type and get a new bigger and stronger bug. 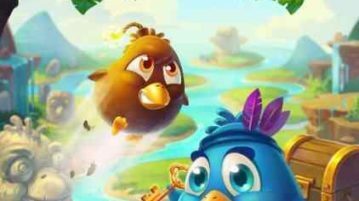 Bubble Birds 4 is a Windows 10 bubble shooter matching puzzle game app to shoot and make groups of 3 or more same colored birds. 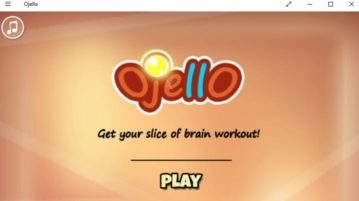 Ojello is a Windows 10 slicing puzzle game app where you have to slice the jello in such a way that only one orb is on each piece. 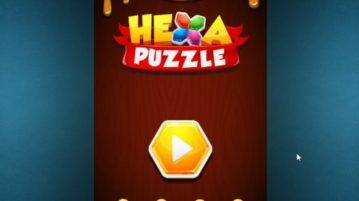 Block Puzzle – Hexa Puzzle is a Windows 10 blocks puzzle game app to move hexagon blocks given at the bottom of the page to fill up the structure given. 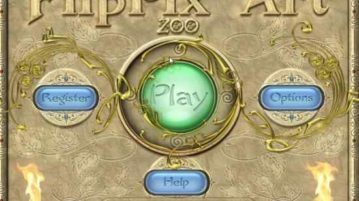 FlipPix Art – Zoo is a Windows 10 logic puzzle game app where you have to color some tiles and break some tiles to reveal the picture hidden behind. 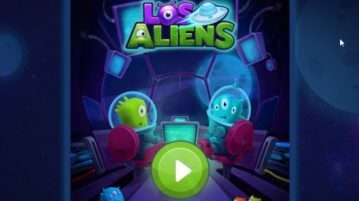 Los Aliens is a free Windows 10 puzzle game app with lots of challenging puzzle with aliens and new planets to find. Check it out.